An ecommerce web design opens new avenues for your company by maximizing your revenue and increasing your entire business value. To get the best out of your ecommerce strategy, you have to plan each step of the implementation of your website, and carry it forward accordingly. For that, it is a good thing to leave your website development to a professional ecommerce web development company in India. Hiring their services can prove to be a great way of ensuring high quality web development solutions, which turn out to be cost-efficient in the long run. 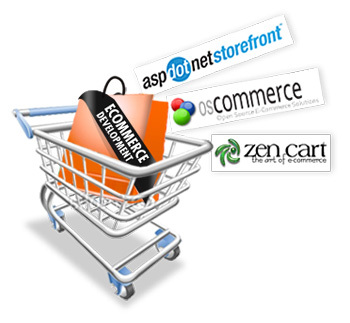 Magento is the latest ecommerce website development software, with which you can receive optimum quality of website. Using ecommerce website design and development services from Website Design can help you leverage the experience of having your own website. You will definitely feel the enhanced quality of sites with their operation and appearance. By hiring website developer services from an ecommerce web development company in India, you will be free from any worries about your website’s maintenance too. Ecommerce sites over the web need regular maintenance for their smooth functioning, seamless operation and relevant placement of the products. We can offer attractive website maintenance packages that can be helpful in keeping you absolutely worry-free.